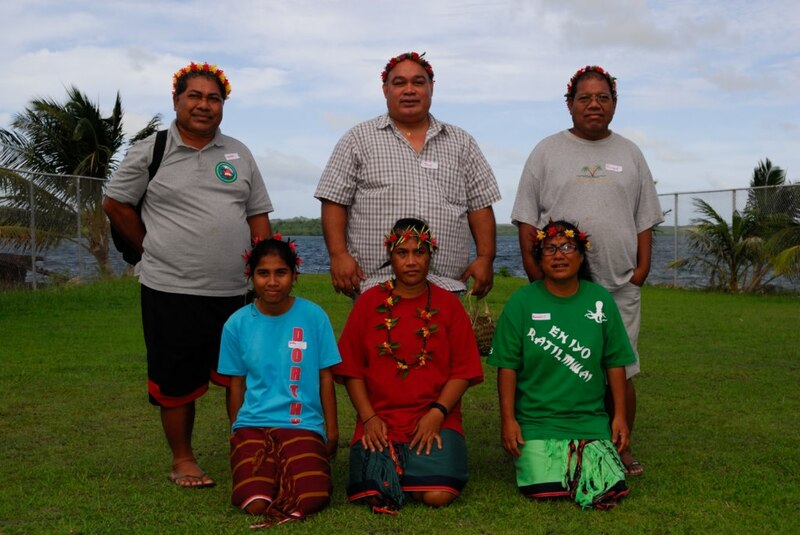 (January 2014) During the Isles of the Sea conference, pictures were taken of various translation teams: Satawal and Woleai (Yap State) and the combined Tobi–Sonsorol team (Palau). The Satawal team. 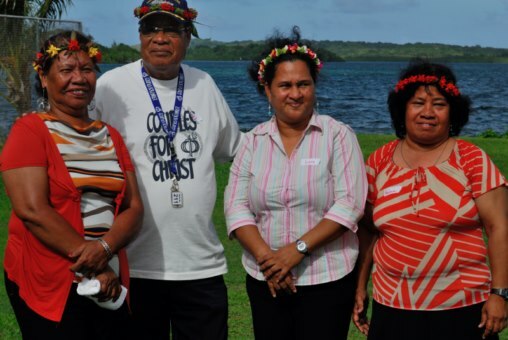 Left to right, front: Dorothy Nemwarhmwar, Cecilia Lerageyait, Manuelina Ligiteiwel. Back: Sabino Sauchimal, Fr Kenneth Urumolug, Richard Ligiteiwel. The Woleai team. 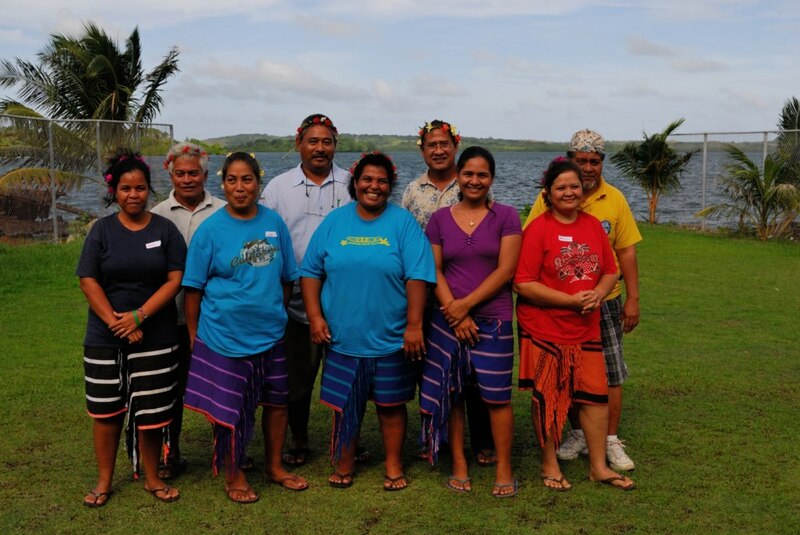 Left to right, front: Joanie Kuor, Lourdes Hasugulfil, Johanna Malimai, Queentina Haleyalgiy, Mary Sanemai. Back: Ignateus Pakaluwow, John Malimai, Peter Haleyalgiy, Augustino Sanemai. The Tobi-Sonsorol team. Left to right: Rosa Andrew (Tobi), Sabino Sackarias (Tobi), Lucy Pedro (Sonsorol) , Paulina Theodore (Tobi).